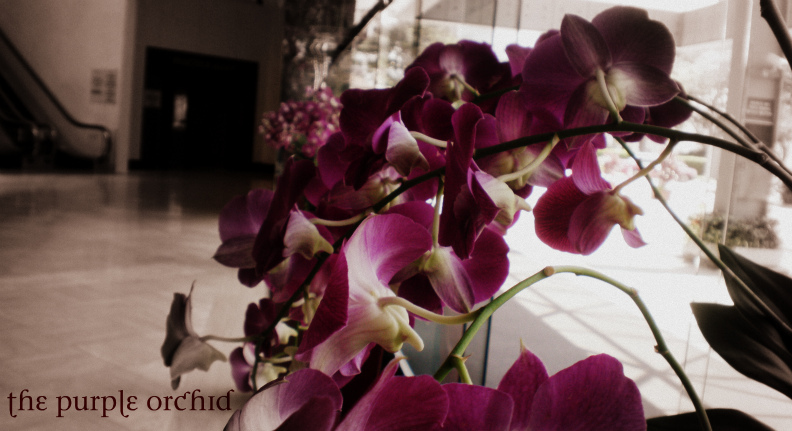 11th July - written in the past tense. Today was the day I had been waiting for. The day that I had planned, all on my own, that was not a real touristy thing to do. Not from my research anyway. The day that we would finally get to hike through mountains right next to the Mediterranean Sea!! We didn't wake up at 5 a.m. as planned, according to my schedule (well, we did all think it was a good idea to get up early to begin with). We woke up at 7ish, and quickly got ready for the day. After eating a healthy breakfast: heaps of fruit and other goodness like that (a.k.a nutella pastries), we packed our bags and set off for our first stop of the day. So at around 9 am we left, with our train tickets booked, and a change of swimmers for when we finished our hike. so peaceful after all those windy roads!! We turned off the highway towards Agerola, and up we turned onto the beginnings of another mountain. Winding, winding, beeping and waiting for car doors to be closed to squeeze through narrow lanes. We finally reached the small town of Bomerano! Here we parked the car, and found the entry point for our hike called "The Path of the Gods"
So we bought some sandwiches at the local pub, as one does on long hikes, and went to the bathroom. Different signs said different lengths of the walk, so we were not sure how long it would take. After filling up our bottles of water, we set off. The first part was basically just getting to the main path we would be walking on, so that was lovely. Harri and I were hungry, so we stopped to eat our sandwiches. At this point we had got to the mountain top, which is the path we would be following for the next couple of hours. And then we reached a pitstop, where you could turn off to the coastal town of Praiano. By this point we were starting to feel the heat of midday, and the first drops of perspiration were falling from the hairline of my forehead. Like a mirage, and just as we were feeling thirsty, we happened upon a drinking fountain to fill up our water bottles. Here we met another couple who came from the opposite direction, and were now turning back to go Positano again like us. 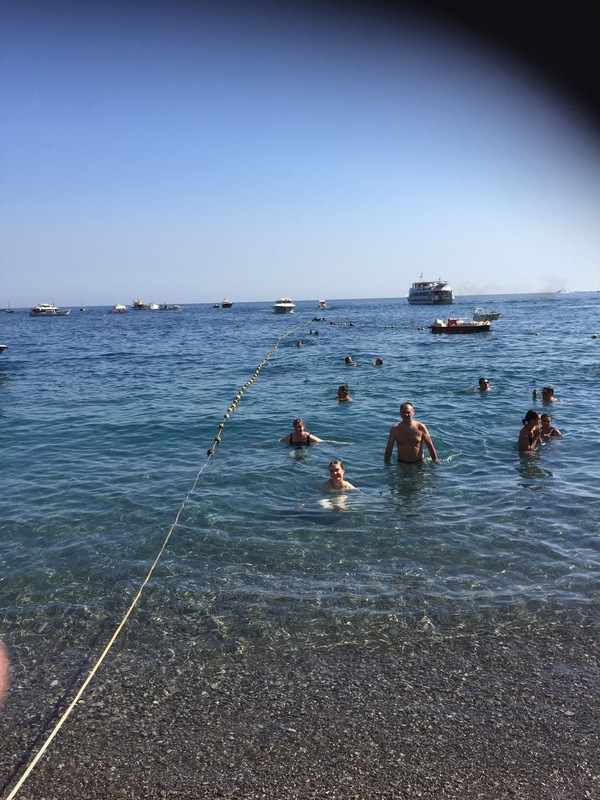 We asked them to take picture of us, which they kindly did, and how far it was to go to Positano from there. They said that we had done nothing yet ;) I think they then felt bad, so they said this wasn't that bad, just to lighten the harshness of their words. After walking through a lovely lush pathway, we descended on rocky stairs. That was when it REALLY began. This is how far up we were. The water was so translucent; you can even see the bottom of the water bed in the picture!! After this point I was sweating too much, and the person walking in front of me was flicking dirt up on me, so I thought it would be best to put my camera away. I will just have to tell you about the amazing difficulties that we went through. 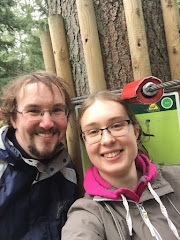 Well, the rest of the way we walked in and out of forests, up and down steep rocky stairs, and along the most narrow of paths that if we had moved a fraction closer to edge I am sure we would have fallen. But it was all worth it to see the amazing view. After some more extremely steep rocky stairs, we came upon a cafe. This was like another mirage. Because just as were sweating like anything and in need of a cool refreshment, we found it!! They were lovely and hospitable, and when we walked in they handed us all a paper towel to wipe the sweat, or should I say ', ' off our foreheads, and then they aimed the standing fan on us so that it would cool us down. We then bought some lemonade and water, and just sat there drinking and feeling exhausted. It is amazing, though, because when we got up again we had more energy to keep going!! Walking under grape vines. They had heaps of these grape-vine-covered-paths throughout our adventure through Italy. We were now in Nocelle, which you can see on the map is very close to Positano. What you can't see on the map, however, is the 1700 stairs that you need to go down to reach the city. Here we were all complaining in our head. It was REALLY difficult to find a comfortable way of going down those stairs!! Harri and I tried cantering our way down the stairs but that didn't last long ... Mum tried pointed her leg after every stair to help her knee, which helped her. Dad alternated between different techniques. But they just kept coming. And then we finally reached the bottom!! Only to find that we still had to walk a while to get to where we all wanted to be: The Beach. Walking along the roads and paths to get to the beach it felt like we were wearing heavy snow boots.! The backs of my legs were feeling super heavy, and when I stopped walking my legs felt like jelly, so I just kept walking. 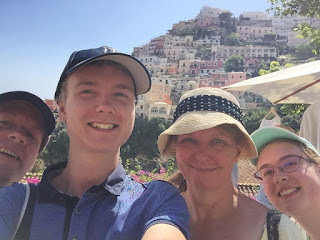 On we went, and we started walking through a lovely market place with shops selling everything from leather sandals (what Positano is known for) to gelato. Oh, and the clothes looked amazing!! Mum and I were so annoyed that we could not look into the shops, or touch anything, because of our sweat-mixed-with-dirt yucky feeling. Dad put it in to perspective. We were like Mr Bean looking for the beach in France. You know, in the movie called 'The Holiday'. I know truly understand why Mr Bean walked along the trucks and cars, down those surfboards and the backs of those poor sunbathing people, to burst out into the song about finally reaching the sea!! LE MER ~ I truly was singing it in my mind when we were almost at the beach. Mum had to quickly get changed into her swimmers, so we stopped off at the bathrooms for a quick sit down and change from our dirty sneakers to the heavenly, cool thongs. It was an amazing feeling!! While writing this I am overwhelmed by the emotions I feel then. 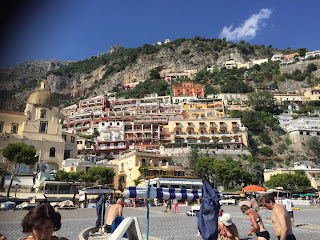 After eating some gelato, and buying tickets for the boat, we boarded the boat from Positano to Amalfi. 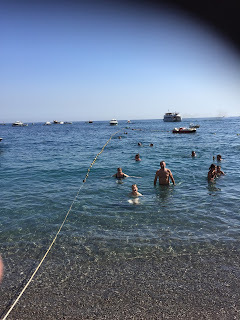 In Amalfi, I bought some blue shorts, Dad bought a print of the coast line, Harri bought some thongs, and we all got some small savoury pastries. Mine was delicious!! I don't know what it was called, but it was a crumbed outer filled with macaroni and mince. Mum had mozzarella inside, Harri had pizza inside and Dad had the same as me. We then boarded the bus to take us to where we parked our car in Bomerano. 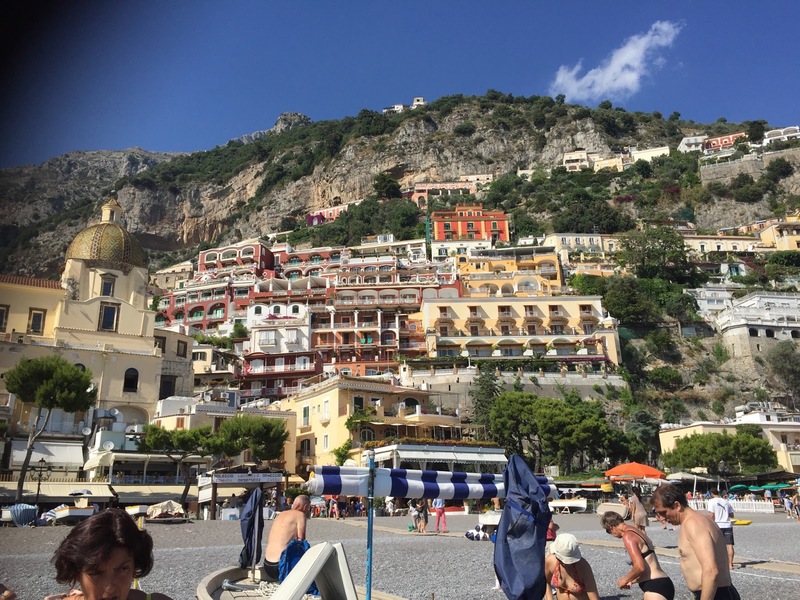 As soon as we boarded the bus, we were off speeding along the Amalfi coast. Dad enjoyed it some much, because 1. He got to see the scenery while someone else was driving, and 2. there was a dog in the seat in front of him which looked very much like our auntie's dog called "Lucky". The Lucky look-a-like. Here you can see how fast the bus is going, while driving along the narrow mountain roads. Arriving half an hour early in Bomerano, thanks to the amazingly confident fast driver of the bus, we walked to our car and drove to our hotel. When we arrived back at the hotel, we had a lovely shower with a lovely, new, fixed shower head, and went to bed. We had to wake up early the next day to begin the journey to Rome! !